The AVENGER (MCM-1) class mine hunters are among the largest ships of their type in the world today. There were 14 ships of the class operational with the US Navy, the last 2 entered service during 1994. 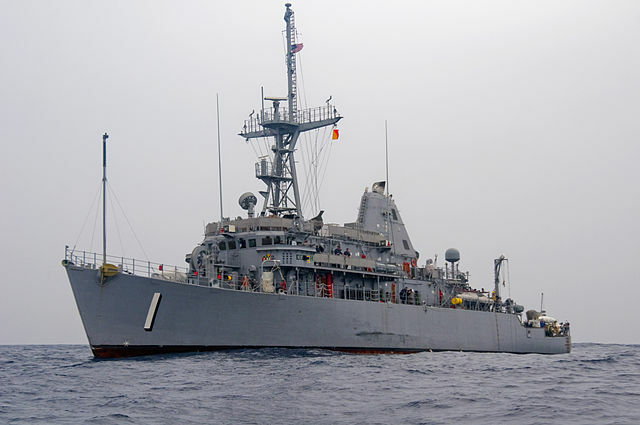 The Avenger saw considerable service during the Persian Gulf War, on the first day of mine clearance operations, she located and destroyed a mine that had been previously undetected with sonar from another older minesweeper. The first 2 ships of this class were decommissioned early in 2015 and MCM-4 was lost on a reef in the South Pacific. Our 1:96th scale MCM-1 hull is molded in one piece and has the external keelson, the shaft exist, strut arm locations molded in. This hull is a great size for running in small lakes and pools. This hull comes with a set of general arrangement plans. The AVENGER (MCM-1) class mine hunters are among the largest ships of their type in the world today. There are 14 ships of the class operational with the US Navy, the last 2 entered service during 1994. The Avenger saw considerable service during the Persian Gulf War, on the first day of mine clearance operations, she located and destroyed a mine that had been previously undetected with sonar from another older minesweeper. Our 1:48th scale MCM-1 hull is molded in one piece and has the external keelson, the shaft exist, strut arm locations and the well for the bow thruster molded in. This hull comes with a set of general arrangement plans. Special Shipping: This hull can be shipped via FEDEX Ground Service as in OS-1 size package. Shipping and handling in the USA 48 states is $ 69.00. A SeaPhoto Photo Reference Set is available for this class of ship by clicking on the button above.